The building measures 1.8 x 2.5m and features an attractive hipped roof topped with cedar shingles. The exterior is clad with smooth shiplap and painted in the exterior shade of Taupe, which was selected by the customer from our vast range of exterior opaque paint shades, including a Farrow & Ball palette and truly bespoke colour-matching service. 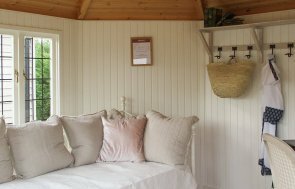 The summerhouse has leaded glass windows that open to allow for ventilation and natural light, as well as a lacquered floor and natural pine lining in the interior. 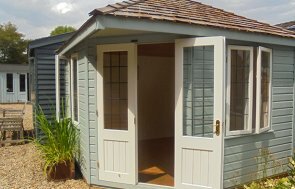 Our full range of summerhouses can accommodate all tastes and styles, with our more contemporary garden studios also doubling up as attractive garden retreats, offering a versatile space with the option to add electrics. 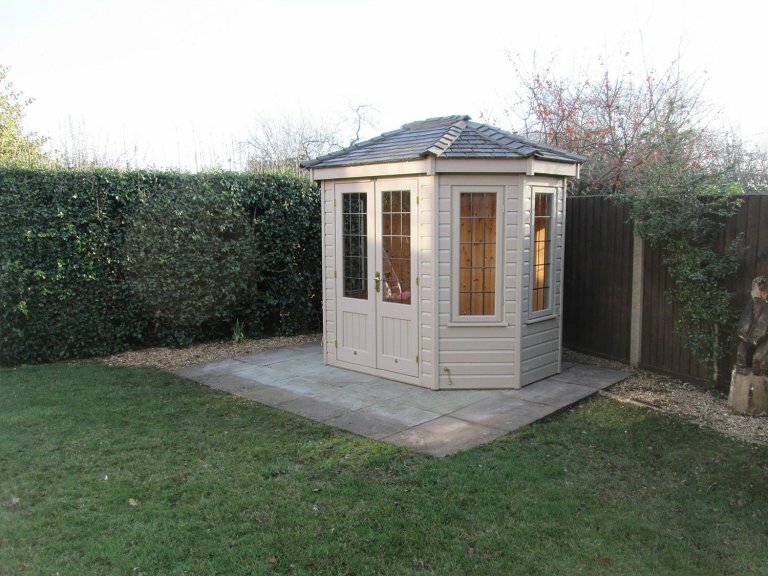 In order to find out more and take a closer look at our range of stunning garden buildings, locate your nearest show site here, or get in touch on 01760 444229.